Just like clothes, haircuts aren’t one-size-fits-all. You need to focus on your haircut just like you take care of your clothes and shoes. Your hair should frame according to what suits you best. Simple enough, right? Picking a cut that doesn’t suit your skull is a serious and, critically, easily avoidable mistake many men make when sitting in the barber’s chair. Just before deciding your perfect hairstyle, the great thing about knowing your face shape and finding a suitable hairstyle is that it should work to enhance certainly favorable. 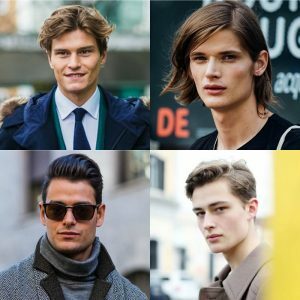 So let’s check out, which hairstyle will suit according to your face shape? What is the length of your face compared to the width of your face? First of all, you need to determine what is your face shape. Firstly, pull your hair locks back and give special attention towards your face. Look at the length and width of the face and determine the perfect shape. Apart from paying attention to side parts and top of the hairs, you need to focus on hairstyles which are balanced from both sides. 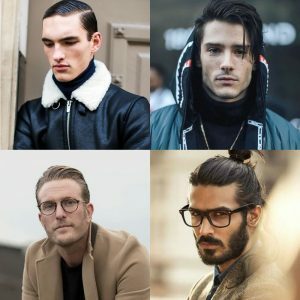 You can go for side part and slicked back hairstyle. A sleek bun will also look good and better balance proportions of the face. 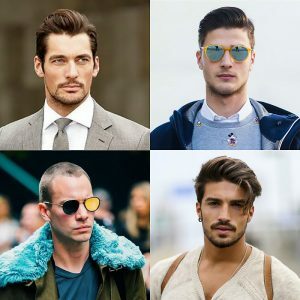 If you are having oral face shape, then you are the lucky one. Oval shape face is proportioned well and people with this shape can carry different hairstyles. 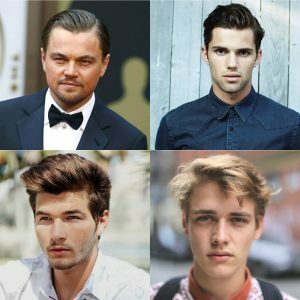 But my suggestion is you must try conservative quiff with longer lengths and modernized cuts. A voluminous pompadour will also look good on you. Hey you are blessed with strong jaw line, and you must pay attention to them. We suggest a lot of volume when styling your hair, so aim on fullness and add as much product as you want. A quiff works well, whether done more naturally or with a modern edge.